Owing to our rich industrial experience and wide networking sources, we make available a wide range of Mixed Color HMW HDPE Drums for buyers in the domestic and international markets. Our HDPE Drum Scrap has a certain molecular weight and is extracted from superior grade HDPE drums and barrels. 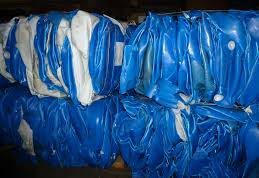 We are a trusted HDPE Drum Scrap Exporter and Supplier from Thailand. Buy them from us at highly affordable prices.